Pale yellow in color, this Chardonnay is characterized by fresh citrus and tropical fruit aromas, with white flowers and mineral hints. The texture is soft and balanced, with precise acidity, while also exhibiting a persistent, complex and fresh finish. 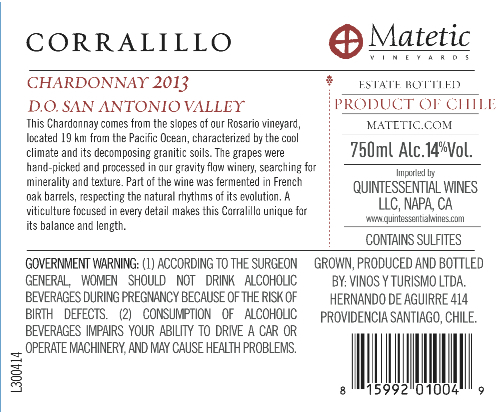 It is a classic Chardonnay that expresses its origin in a coastal climate. 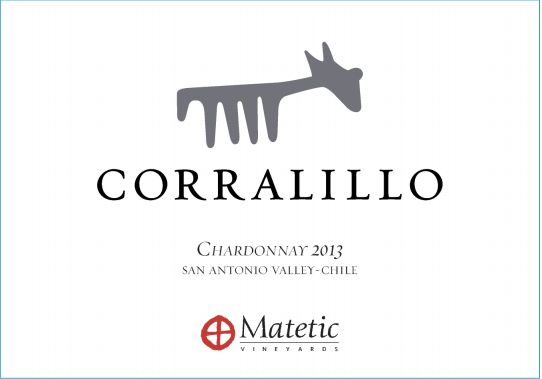 The grapes for Corralillo Chardonnay are sourced from El Rosaria Valley, which is characterized by having a coastal Pacific climate ideal for this variety, insuring a slow ripening of the grapes, a fresh acidity and a very good concentration of aromas and tastes. The granite soils, with different compositions and topographies, favor the optimal development of the vines, providing unique, “high quality” fruit. The must was obtained through traditional and gentle pressing, without rotation. Thirty percent of the juice was fermented in stainless steel tanks of different sizes, forming the fresh, mineral component, while the rest was fermented in French oak barrels of different volumes, where the wine’s complexity and depth are achieved. During its ten months in barrels, periodic batonnage took place. A soft malolactic touch (10% of the blend) added just enough creamy texture, balance and rich mouthfeel. This Chardonnay is ideally served with seafood, white meat such as chicken, Asian food, paella and pastas. Ideally serve chilled (at around 54°).